Britain already has a reputation for deploying the most intrusive surveillance systems against its own people in the Western world. Widely reported just a few days ago, it appears the government has just awarded itself the ability to monitor and surveil the live communications of the British general public at will. In addition, it also forces encryption backdoors to be made available to the authorities by privacy driven communications services such as WhatsApp. This is an exploit that will see a considerable degrading of security for everyone in Britain, which will inevitably lead to hugely increased hacking by criminals. The reality though is much more insidious than first thought. Although we all see the sense in security keeping up with fast changing technologies, the government has been passing laws that in effect has done little more than salami-slice our civil liberties and human rights to the point of extinguishing their real effectiveness. They are are being systematically dismantled, driven through the false narrative of security. As a reality check, you are far more likely to die at the hands of your underwear or toaster than a terrorist. Just last month legislation was passed that contained a section stating police can order the shutdown of communications on a mobile phone. This power also allows authorities to restrict or disable a person’s mobile phone communications (at will) if they are suspected of even being associated with crimes, whether or not they have actually committed a crime or not. Salon reviews a new documentary on “Pre-Crime” that shows how police use big data to stalk potential offenders who’ve yet to break the law. And just for clarity the German director of the documentary says “Pre-crime” is a reference to a Hollywood movie called “Minority Report” in which people are arrested for crimes they have not committed – yet. The documentary explains how police forces are now already using algorithms to calculate the risk of an individual breaking the law. Back in Britain, we know that our own Prime Minister is no friend of civil liberties when considering her record as Home Secretary. She oversaw GCHQ’s illegal bulk harvesting programmes pre and post Snowden revelations. She tried to pass the Communications Data Bill (also known as the snoopers charter) in 2012 but it was rejected at draft stage when the Lib Dems withdrew their support for it. The Investigatory Powers Act, was a much broader bill but this was really her second attempt at introducing the snoopers’ charter. 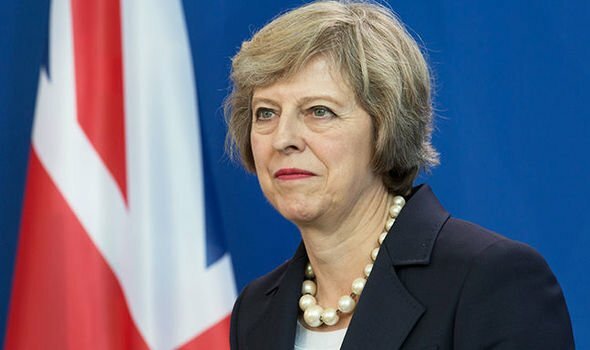 She has no doubt supported the Espionage Bill – a proposal to criminalise whistleblowers and jail journalists as foreign spies. The 20% cut in the Police budget has been replaced with a ramping up of GCHQ’s budget – an unelected agency who act in the shadows and break the law with impunity without full scrutiny or governance, and who, by all accounts, are inextricably interlinked to that other notorious lawbreaker – the NSA. Don’t forget that Kent police have allegedly been using this system secretly for four years. Once again we find Britain being the pioneer of the dismantling of democratic freedoms and rights without even as much as the faintest debate as to its legitimacy. Cambridge Analytica have been heavily associated with ‘dark money’ and the shadowy actors that secured the Brexit vote in Britain last year. Its parent company is known for involvement in military disinformation campaigns of social media and voter targeting and is used by the military and politicians to study and manipulate public opinion and political will. In the meantime, Theresa May has wholeheartedly pushed for Britain’s withdrawal from the European convention on human rights – which would leave Gt. Britain as the only European nation in the same position as the pariah state of Belarus where corruption is endemic through the entirety of its society and criticism of the president and the government is a criminal offence. Hence, the reason why such programmes are dangerous in the hands of a government that not only has ‘form’ but will soon be an emboldened one come June 8th when what is left of an already weakened opposition splinters and then disintegrates, leaving civil society more vulnerable than ever. 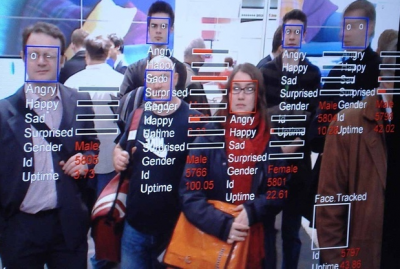 “Citizens are increasingly categorised and profiled according to data assemblages, for example through data scores used in the criminal justice system or by social credit scores, as developed in China. The purpose of such scores is to predict future behaviour and allocate resources and eligibility for services (or punishment) accordingly. Can you imagine living in a society that predicts future behaviour and allocates resources and eligibility for services, or dishes out punishments – though an algorithm? And when it comes to these citizen controlling pieces of legislation – mission creep is the big danger. Terrorism laws developed from 2000, which were designed to hunt down ideological killers, have since been added to or amended twelve times. The result is that local authorities and councils are now able to brazenly use these laws to prosecute citizens for feeding the homeless, the BBC to pursue non payment of its licence fee, or any government agency to secretly follow people without their knowledge and record their movements. This should be seen as nothing less than abuse of power. “Pre-crime detection systems undermine the underlying tenet of our judicial system – that we are innocent until proven guilty. They fail to meet any test of proportionality and threaten our privacy rights. “Recently the Digital Economy Act gave the police the powers to disable people’s phones if they are suspected of criminal activity. This is just one example of how such systems can be used against individuals who have not actually been found guilty of a crime. We need a full public debate about whether such systems are acceptable in a democratic society. These systems depend on algorithms, which we know can replicate biases that are found in society – for example around race, class and gender. We need more transparency about how these systems are developed, applied and monitored.